Tollywood Superstar Mahesh Babu collaborating with Asian Cinemas, a leading distribution company in Andhra and Telangana. multiplex is named as AMB Cinemas and is located near Botanical Gardens in Gachibowli, Hyderabad, which is one of the posh areas in the city. The inauguration was December 2nd on Sunday at 6 pm. 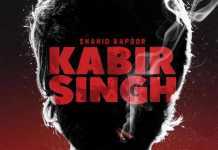 The film industry Bigwigs are expected to grace this inauguration. Actor Mahesh Babu’s AMB Cinemas will open with the Kollywood superstar Rajinikanth, Bollywood star Akshay Kumar, and Amy Jackson’s much-awaited sci-fi movie 2.0, which is arriving at the theaters on 19th November. 2.0 will be the first film to be screened in this multiplex. The AMB stands for Asian Films and Mahesh Babu. The Multiplex has 7 screens with Dolby Atmos facility and Laser Projector System to offer the best visual experience to audiences. Mahesh Babu’s AMB Cinemas multiplex chain is ready to entertain the movie lovers by giving the ultimate thrill and good viewing experience. 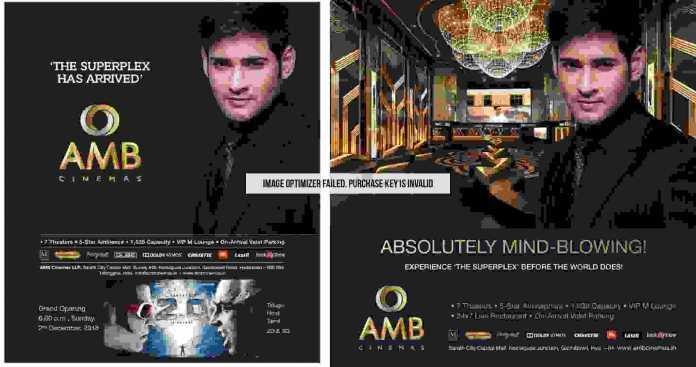 Mahesh Babu’s AMB Cinemas will have all the latest and modern facilities for the film buffs to enjoy. Some images of a multiplex in Gachibowli have made their way to the internet.